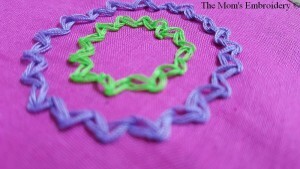 Perfect for any decorative border, Zig Zag Chain stitch is simple chain stitch in a zig-zag manner. This stitch is done between two lines. 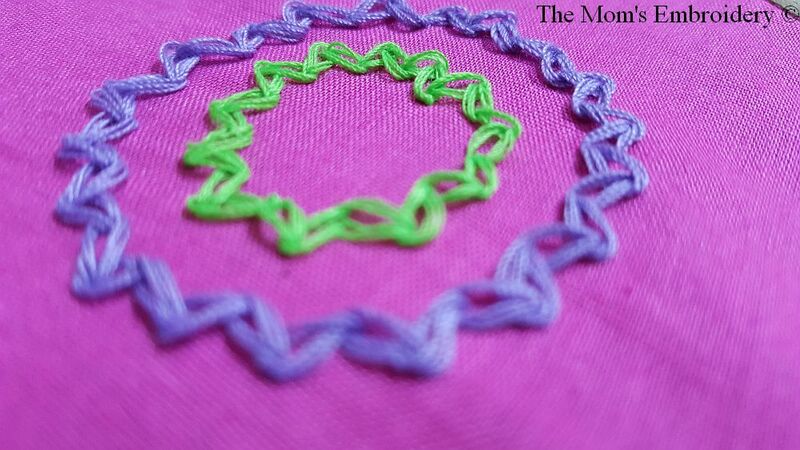 Though the stitch is perfect for borders, it also looks amazing while embroidering different shapes. I tried to do circles using this stitch. 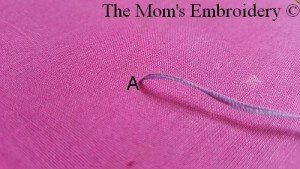 But the major problem with my stitching was the threads were not pulled properly. 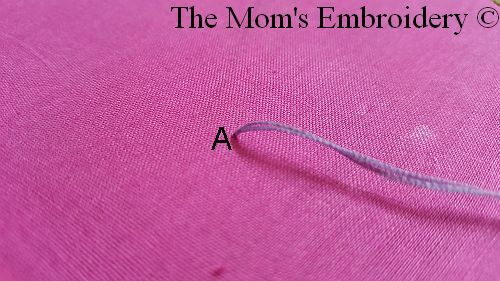 That’s why the embroidery did not set properly. 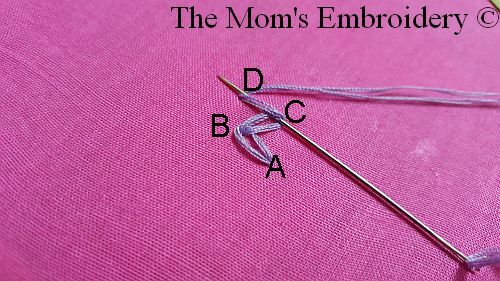 I’ll do another work using this stitch to see if I can do it better. Anyways, Let’s start the process. 2. 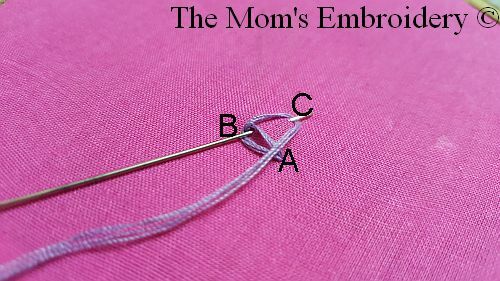 Partially insert the needle back to A and take out the threaded needle through B, positioned upward at an angular distance from A but do not pull out the needle fully. 3. 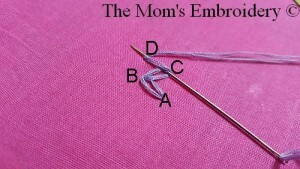 Now, partially loop the thread from left to right around the needle and pull out the needle. 4. 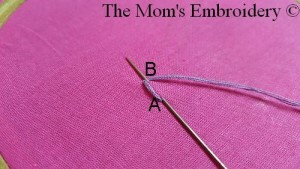 Insert the needle at point B, within the newly formed stitch. Take out the needle through C, positioned downward at some angular distance from B. 5. 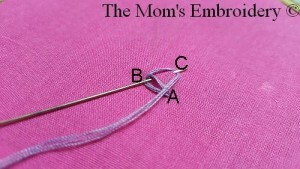 Follow the steps 2 to 4 to complete the embroidery.